This popular product is known for its excellent chemical resistance and has been used to protect a wide range of structures and equipment from chemical attack for over 30 years. We have now improved the formulation of Belzona 4311 to enhance its UV resistance and ease of application. Belzona 4311 can now be spray applied using single or plural spray equipment. In the reformulated Belzona 4311, the polymer structure retains its shape, with the amine molecules staying dispersed throughout the coating. 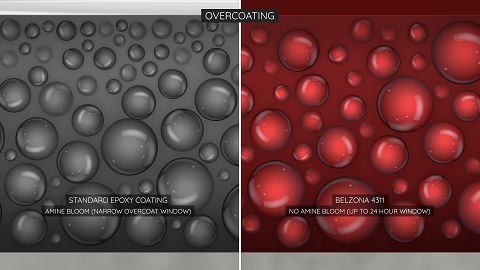 Therefore, the overcoat window has been increased to up to 24 hours. 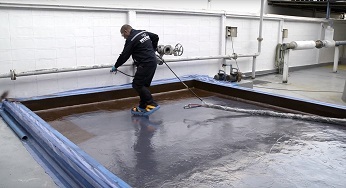 UV damage can affect the properties of coatings over the long-term – this can leave formerly chemical resistant coatings susceptible to chemical attack and deterioration. 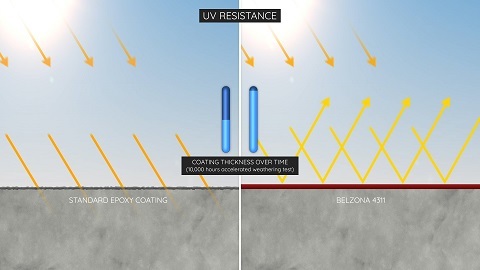 Belzona 4311 now has outstanding UV resistance and will not degrade over time, even in the sunniest locations.